A year and a half ago, I decided that I was going to attempt to read all of the Star Wars books that fall under the newly defined canon. 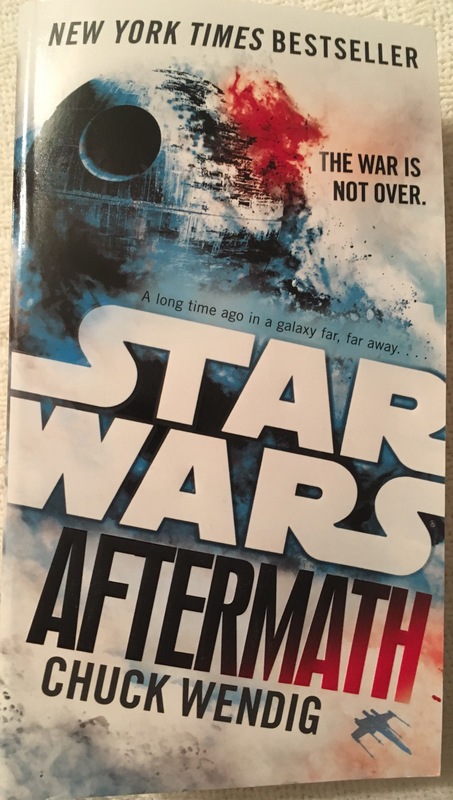 When Disney bought Lucasfilm, they wisely decided to abandoned the Expanded Universe of books and stories in order to give themselves a clean slate for their new films. I read dozens and dozens and dozens of EU books when I was a kid, and I loved how they either continued the story of the original trilogy, expanded on aspects of the universe we’d only glimpsed before, or introduced entirely new characters and locations to follow along their own path. But I eventually ran out of steam as I got older, and couldn’t keep up with the multitude of books in many different time periods that expanded more quickly than I could read them. But Disney placed all of the old books under the “Legends” label, and started from scratch with a new canon and a Lucasfilm Story Team to oversee continuity, and I realized the time was ripe for me to jump back in. I originally wanted to read them all in release order, but after a few books I decided to balance things out a little better to give myself some variety, and also to free myself up to jump ahead for tie-in books for new movies. I’m now working on my 15th Star Wars book over the last 18 months (I have read other things too), so I thought I’d take some time and review what I’ve written. There’s a lot of variety here in terms of writing style, tone, and time periods in which these stories are set. Some of them I absolutely loved, while others were more disappointing or simply not my type of book. Hopefully this can provide a little guidance to those who might want to jump into the new Star Wars books, or to those who have read some and are considering others. These are listed in the order I read them, so certain books that go together, like the Aftermath series, are not listed together. Once you’ve checked out my reviews, drop me a comment to let me know what you’ve thought of the new Star Wars canon books, which are your favorites, and any that I haven’t read yet that you’d recommend!